Home Good news japan jobs Jobs news The Philippine Overseas Employment Administration (POEA) Pinoy Work From Home, Earns P20,000 to P40,000 a month. Pinoy Work From Home, Earns P20,000 to P40,000 a month. One of the trending work today is the home-based job. Nowadays, it is where a lot of Pinoys spend their time and efforts in this modern and productive way of living. 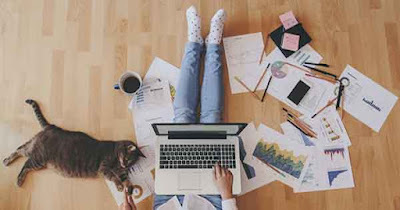 Now, you can work at home and earn money from the different social networks and websites on the internet as long as you have a stable connection. Working at home is really very convenient. This helps home based employees to become more flexible on their time and reduce tension or stress thinking to pass their reports on the scheduled time. Working at home is also very useful because it helps you to save your money. There are no longer hassle transportation, no allowances to budget, and no decent clothing and foods to prepare. If you have small children to take care, you can still do it while working. There are really numerous advantages when you choose to stay and work at home. According To Department of Labor and Employment (DOLE), they estimate that there will be 2.5M telecommunicating jobs to be made available in the next 6 years for Filipinos. Because of the tremendous demand for such jobs, a bill was passed, waiting for the approval in Congress where it aims to protect the rights and provide benefits for workers in the home. From a report, ABS-CBN news revealed that remote workers in the Philippines can earn around P20,000 to P40,000 a month. A virtual assistant worker for an Australian company, Bheng Celon said that she earns around $3 to $10 per hour. As a working mom, Amber Lupena, 22-year old, can also earns P20,000 to P22,000 monthly as a social media manager and marketer for 2 clients based in the U.S. She prefers to stay and work at home to have more time for her family. If working at home, keep in mind that you also have to invest money on stable Internet connection, electricity, community devices and other equipment. I was looking for glass installer .